Home » In The News » In The News » Trust should be more than the narrative. The trust relationship we have with our beloved brands is being expressed mailed to hell. Yesterday, before boarding my transcontinental flight back to New York I got the announcement that the FAA would prefer it if I left my Samsung Galaxy on the ground in the seated, locked and off position. I’d ship it back to myself but I wouldn’t want to bear the guilt of inadvertently causing an explosion in the shipper’s vehicle. But wait, there’s more. The letter is dated July 2016 and I got this note YESTERDAY. Thanks, Subaru. I’ve been driving around with this ticking time bomb with the family in tow for 2 months and you knew. I drive Subarus because they are solid no-nonsense vehicles. No frills, solid all-wheel drive and a big (optional) motor. There are 2 of them in my 2 car garage. I love the ad spots featuring dogs, puppies, and babies. They pull on my heartstrings. Love really is what makes a Subaru a Subaru. At least that’s what the ads say. I’m not feeling the love. 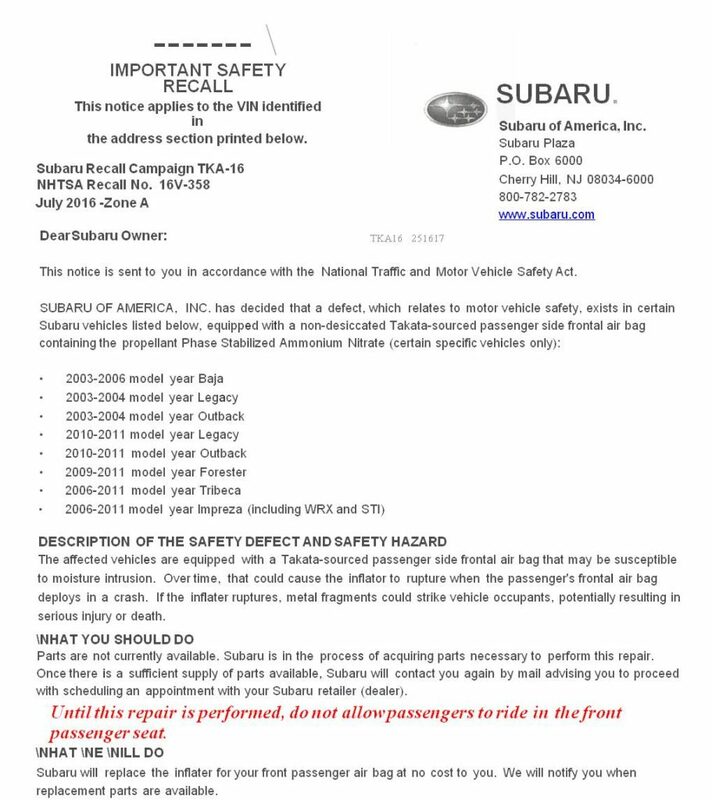 Subaru has my email, they can contact me. Subaru has my phone number, they can call me. Subaru knows I have been driving this car for the better part of a decade. Quite literally overnight, I have 0% confidence in a brand I once adored. What could Subaru do differently? For starters, use the trust relationship I exhibited by giving you my personally identifiable information. Instead of blaming the supply chain, you can direct paid ads and drive social awareness of a well-worded apology and point your people to accurate information. You can reach into existing social channels and engage your influencers to help get the word out. You pay for all of this by re-allocating budget and resources. You can put the time in. If autodialers can figure out how to apply the resource to faking IRS calls on a biblical scale, a brand like Subaru can invest the time. Folks, if your product is literally (and I know, I hate the overuse of “literally” in the modern conversation too) blowing up, maybe it’s time to tap the brakes, spend less time on the trust narrative and more time working to build trust. Literally. 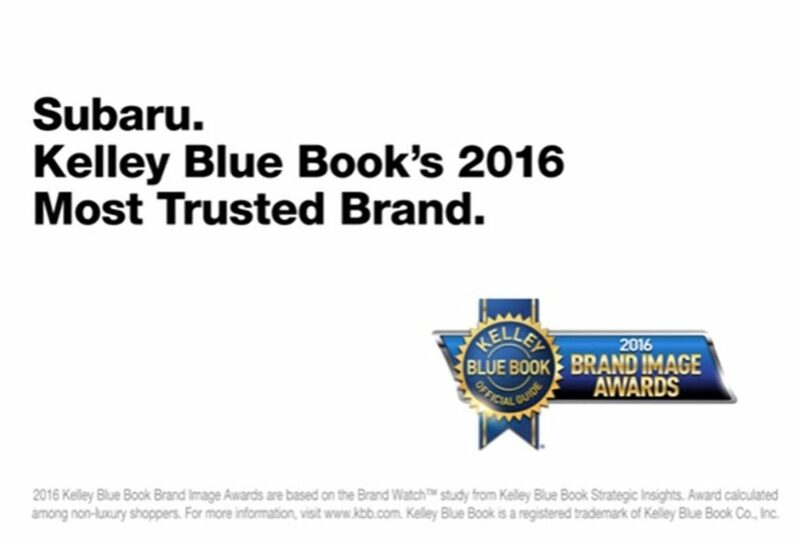 Have a look at a screen grab from one of my favorite Subaru spots entitled “Proud to Earn Your Trust.” What a tragic case of irony. As for me, I now have a 4,000-pound paperweight in my garage with a resale price that’s taking a nose dive. I have 0% confidence that the other airbags are safe. I expected more from a brand that spends so much time talking about love and trust. I think I’ll go check my mailbox.